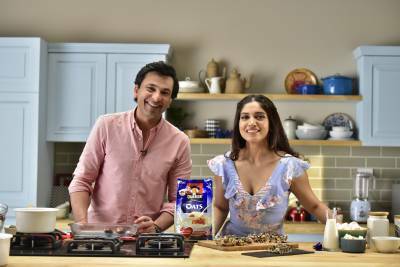 Quaker India’s ‘Kitchen, Khanna & Konversations’ is back in the New Year, this time with Michelin starred Chef Vikas Khanna jamming over breakfast with talented young Bollywood stars Vicky Kaushal and Bhumi Pednekar and Tamil actress, Raiza Wilson. Following the success of the first season which crossed 45 million views on online streaming platform Hotstar, Quaker’s ‘Kitchen, Khanna & Konversations’ will see Chef Khanna rustling up an array of interesting recipes using Quaker Oats. The series features entertaining banter between the young stars and the celebrity Chef as they jam up to cook exciting recipes made nutritious by adding Quaker Oats. Each recipe has been crafted by Chef Vikas Khanna to demonstrate tasty yet convenient and nutritious options that are perfect for youth to adopt to complement their rushed lifestyle. 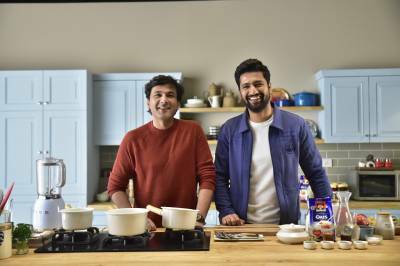 From a fruity smoothie to granola bars and a contemporary version of the Nan Khatai, the web-series features fun recipes made nutritious with Quaker Oats, and whipped up in Chef Vikas Khanna’s inimitable style. The Guinness World Record® for ‘Most Carriages in a Toy Train’ achieved.